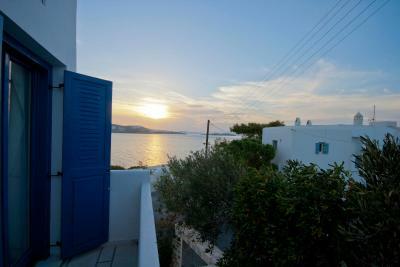 Lock in a great price for Hotel Adonis – rated 9 by recent guests! Very clean and comfortable hotel. Excellent breakfast. Staff is incredible. This place has good reviews for a reason! Beautiful hotel with excellent breakfast. 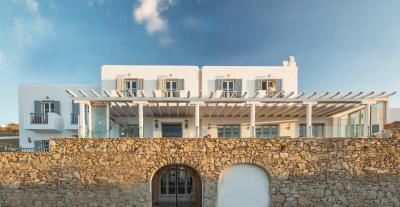 i would recommend this hotel to anyone traveling to Mykonos. The staff was wonderful and very helpful. Made our visit a memorable experience and exceeded our expectations. Thank you Adonis! The location at the edge of town was perfect!!! And the breakfast far exceeded my expectations. The hotel was extremely clean, and the staff was always friendly and willing to help and give guidance. We were greeted by the driver who was very helpful and friendly. Then the hotel staff were incredibly attentive I really think Ibrahim deserves a raise as he was everywhere and helping at every stage of the stay. Veseeli was definitely in charge and very passionate about the hotel and how happy we were. Staff was exceptional. €10 to pick up from port. Nice rooms, with actually English speaking news. The breakfast was fantastic! Beat eggs I’ve had in years. Everyone was so friendly and helpful. 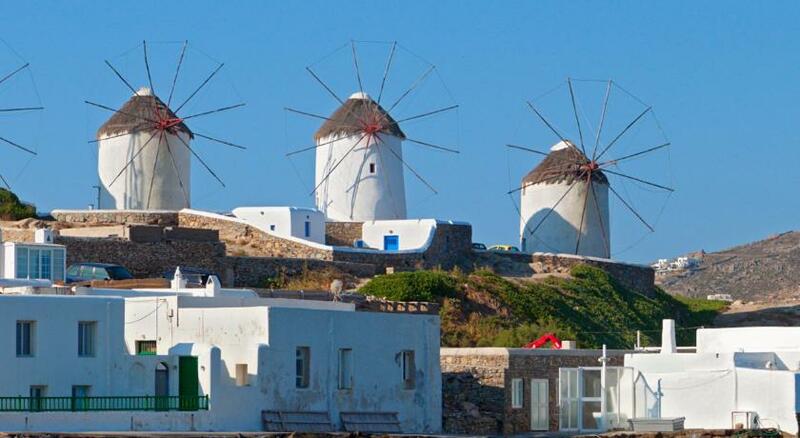 6 minute walk to Windmills, 9 minutes to Little Venice. The views from the hotel were breath taking. The breakfast was good and the staff who served us were cheerful. The shops and water were close by. 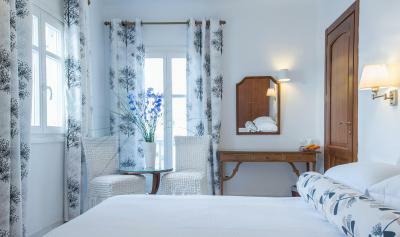 Hotel Adonis was a great choice!! We spent four days there in September and loved it. First of all, the manager, Vasillis, is wonderful. Went above and beyond to be helpful. The location is excellent. 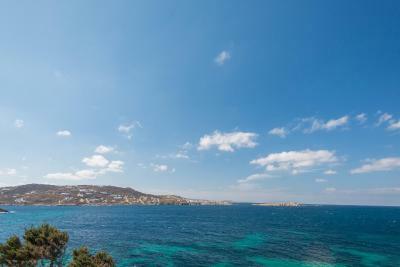 Half a block to the city center and the views are breathtaking. The breakfast was well presented and good food. The waiter, Ibrahim, also went above and beyond to be helpful. I am a tea drinker and he remembered that, brought me tea without even asking. That is good service. Hotel is very clean and comfortable. Would definitely stay here again. 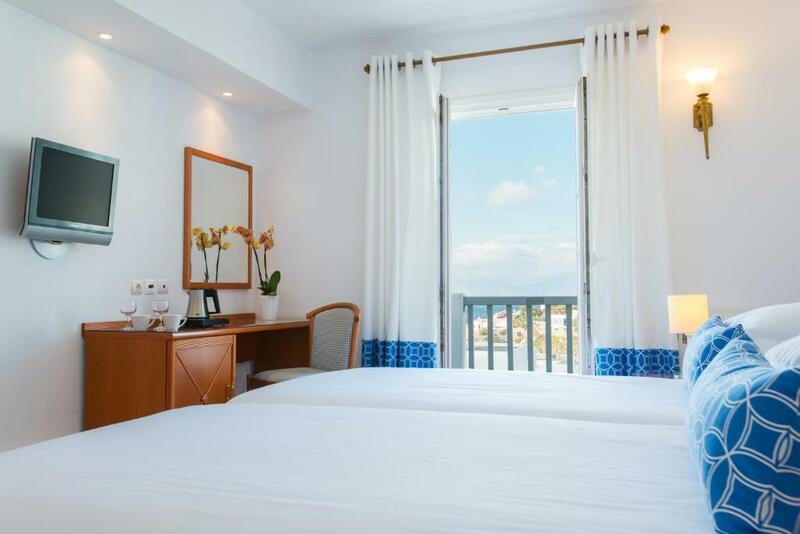 Hotel Adonis This rating is a reflection of how the property compares to the industry standard when it comes to price, facilities and services available. It's based on a self-evaluation by the property. Use this rating to help choose your stay! 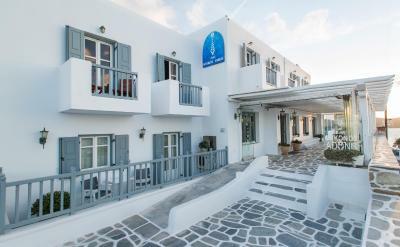 Just a short walk from the center of Mykonos and Little Venice and 1-minute walk from Fabrika Square, the family-run Hotel Adonis provides a variety of spacious accommodations, close to all the main attractions. Hotel Adonis provides personalized customer service and has a homey atmosphere. 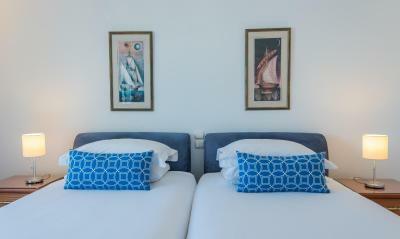 The comfortable rooms include free wireless internet, satellite TV, air conditioning and balcony. Adonis Hotel provides guests with airport shuttle services, as well as a 24-hour front desk service that provides ticket information and car rental services. 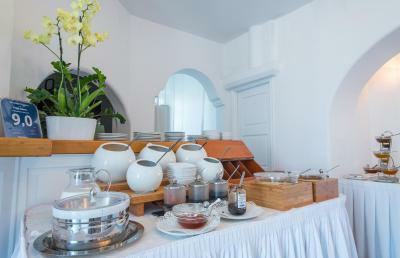 Continental breakfast is served in the morning. Free private parking is available at a location nearby. When would you like to stay at Hotel Adonis? 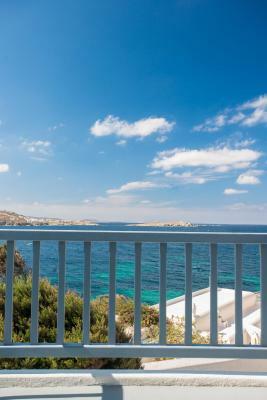 Enjoying Aegean Sea view from its balcony, this spacious room features free Wi-Fi or wired internet access, a satellite TV, and air conditioning. Spacious room with free Wi-Fi or wired internet, satellite TV, and air conditioning, and it opens onto a balcony or patio with sea or garden views. 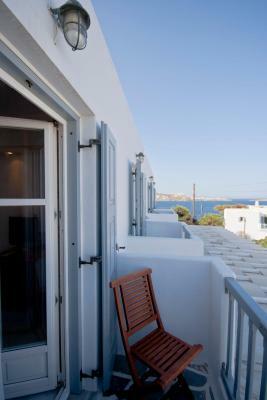 Spacious, two-space room with sea-view balcony and modern decor. 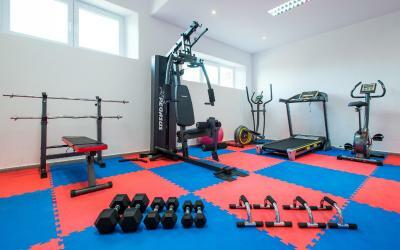 It features free Wi-Fi or wired internet access, a satellite TV, air conditioning. 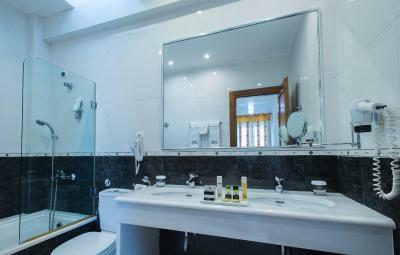 The spacious bathroom is equipped with marble double basin, bathrobes, slippers and a hairdryer. 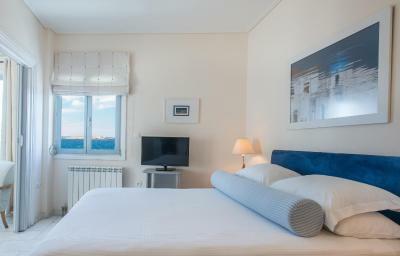 Spacious and bright room with garden-view balcony and free Wi-Fi or wired internet access, a satellite TV, and air conditioning. 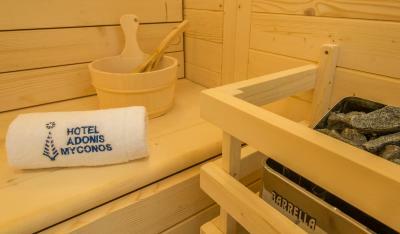 It has a spacious bathroom with a hairdryer, bathrobes, slippers and free toiletries. 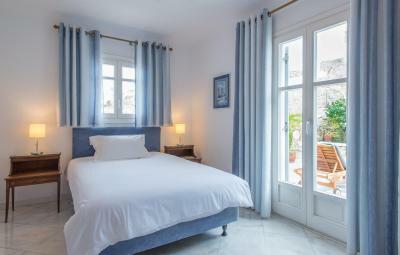 Spacious room with a balcony or terrace facing the garden or town. It features free Wi-Fi or wired internet access, a satellite TV, and air conditioning. 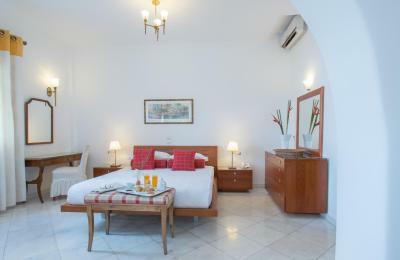 This spacious room has free Wi-Fi and wired internet access, satellite TV and air conditioning. 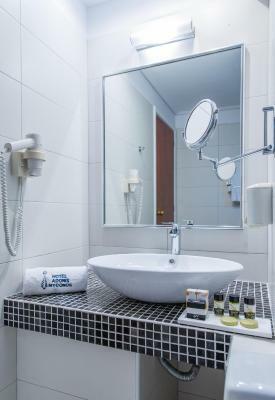 A minibar, hairdryer and free toiletries are also included. 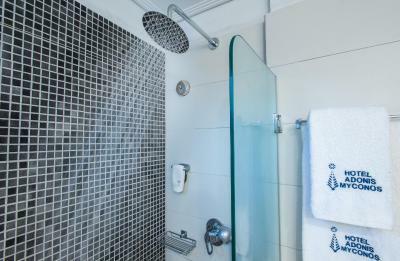 Single, air-conditioned room with mini-bar, flat-screen TV, safe and a private bathroom with hairdryer and toiletries. Free WiFi is provided. 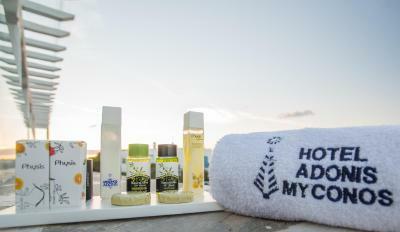 House Rules Hotel Adonis takes special requests – add in the next step! Hotel Adonis accepts these cards and reserves the right to temporarily hold an amount prior to arrival. Please inform Hotel Adonis of your expected arrival time in advance. You can use the Special Requests box when booking, or contact the property directly using the contact details in your confirmation. The shower area in our bathroom is very small and water splash everywhere while showering. 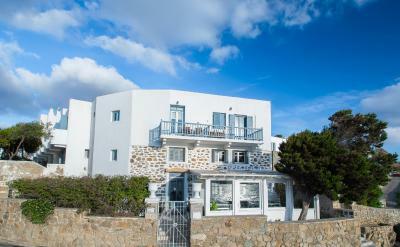 Good location to the center of Mykonos - walk a little uphill from the center to the hotel. The hotel is not in the pedestrian area. Breakfast is great with beautiful sea view. Although the hotel has no lift, there are staff who will help carry suitcases through several flights of stairs. Transfer to the airport and port can be arranged through the hotel. Free bottles of water are provided on the first day. Tea and coffee making facility is provided. Strong Wifi. Love the breakfast. Especially the freshly baked buns.Staffs were very helpful and friendly. Roz and all the staff were fantastic, nothing was a problem for them. Thank you we will be staying again. Too much noise at night from the street. The room wasn’t sufficiently soundproof- neighbours could be heard from the stairwell and closing their doors. Beds were a bit too hard. Breakfast quite simple. 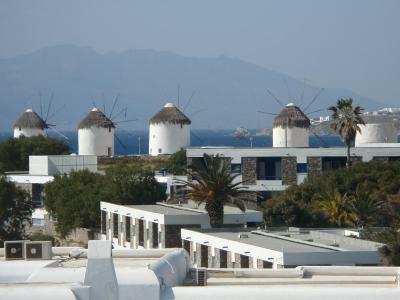 We had a nice room with a small balcony facing the see/city with a beautiful view to the famous Mykonos windmills, however we didn’t profit from it as it was quite windy during our stay. Hotel has an excellent location within few minutes walk from the old town and right next to the Fabrica spot. Entire property has a soothing blend of original charm and graceful elegance. Very polite and service minded staff. 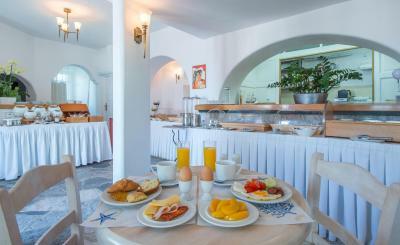 Nice staff,good breakfast and hotel location! 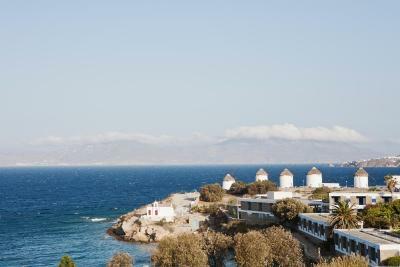 So much to like given its location to the shops, restaurants and nightlife of Old Mykonos Town and a great beach. But it’s the family and lovely staff that truly make your stay special. Rather expensive fare for Greece, but quite reasonable for Mykonos ! Beautiful & luxurious old hotel. 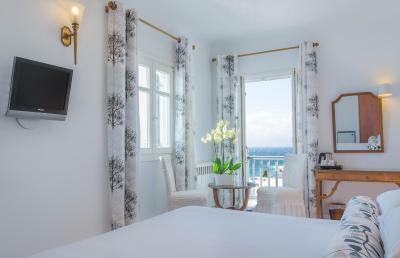 Our room was most comfortable, with seaview & sunset-view balcony and marble-covered(floor and walls) bathroom. Excellent breakfast. Hotels provide transfert to/from port/airport at reasonable price. 15 minutes walk to old port, 5 minutes to the windmills and little Venice. Great location with lovely room. Only a short walk into town so perfect for what we were after. The floor was full of hair and dust and ants. It was digusting for the money we were paying. We pointed out the floor issue when we arrived but the worst was the ants that went inside our clothes when we left our bags open!